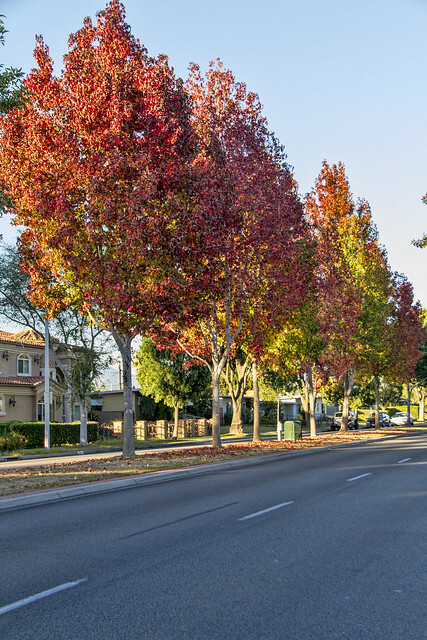 It seems like overnight, the trees in Downey have begun to change color. This stand of trees lines the center island of Paramount Blvd. I don't know how long I have driven past them as they were starting to change colors, but all of a sudden I noticed it this week—an explosion of color. 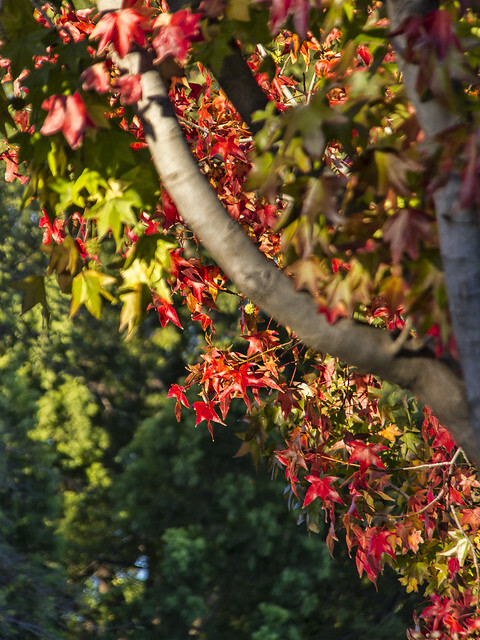 The shorter days and longer, colder nights of the fall season contribute to the leaves changing colors.